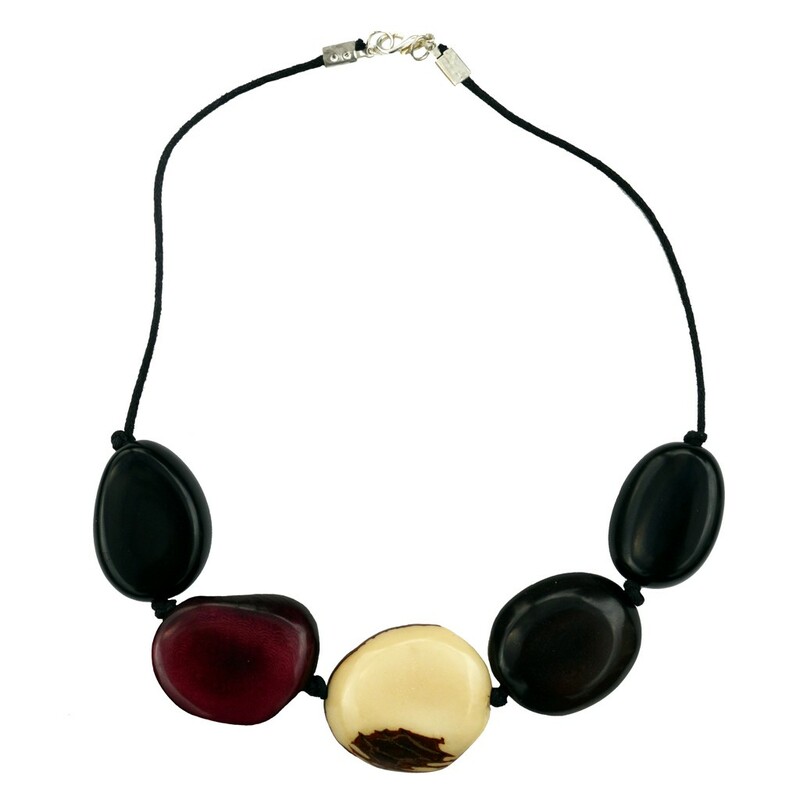 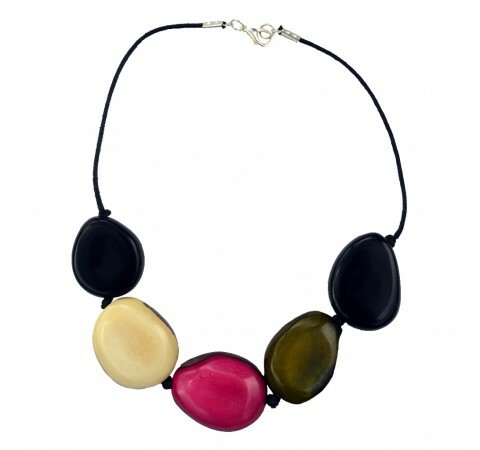 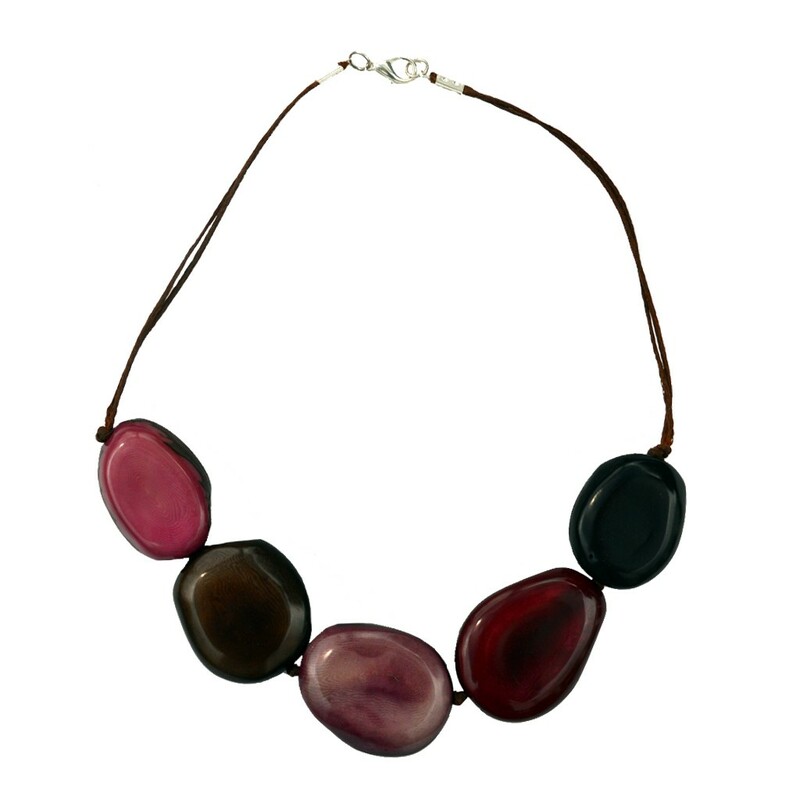 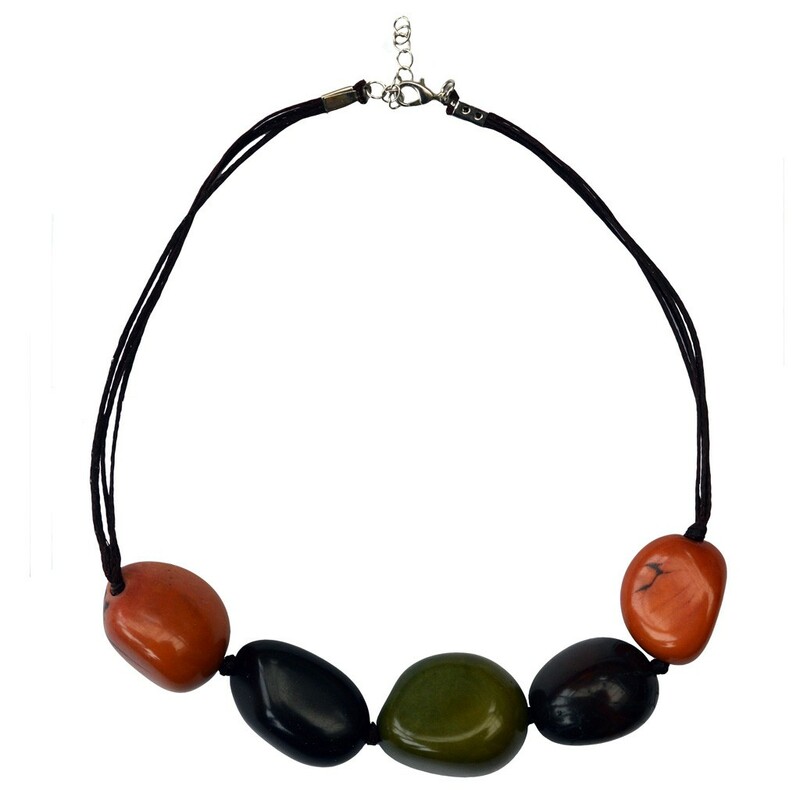 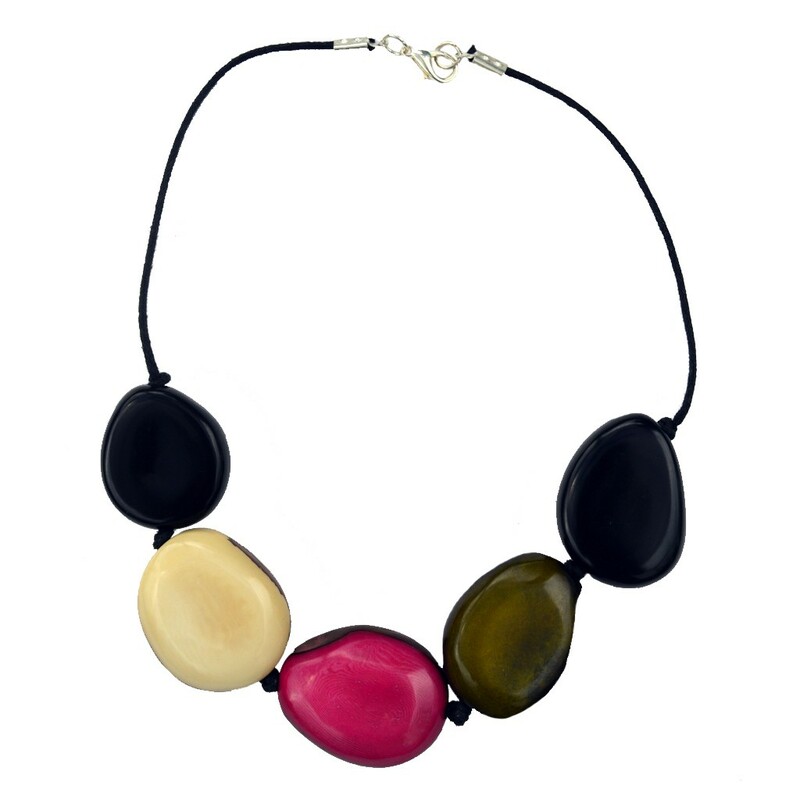 This simple but chic necklace perfectly captures the natural beauty of the Tagua nut. 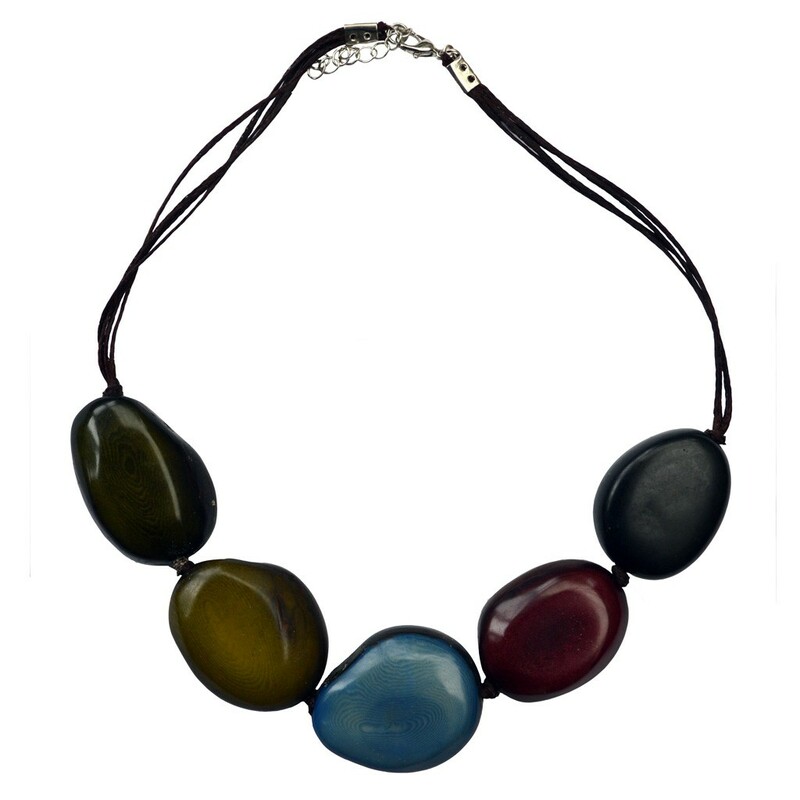 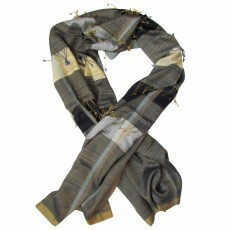 It looks perfect worn with an open-necked shirt. 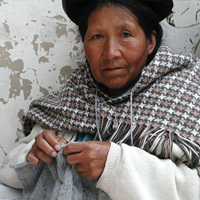 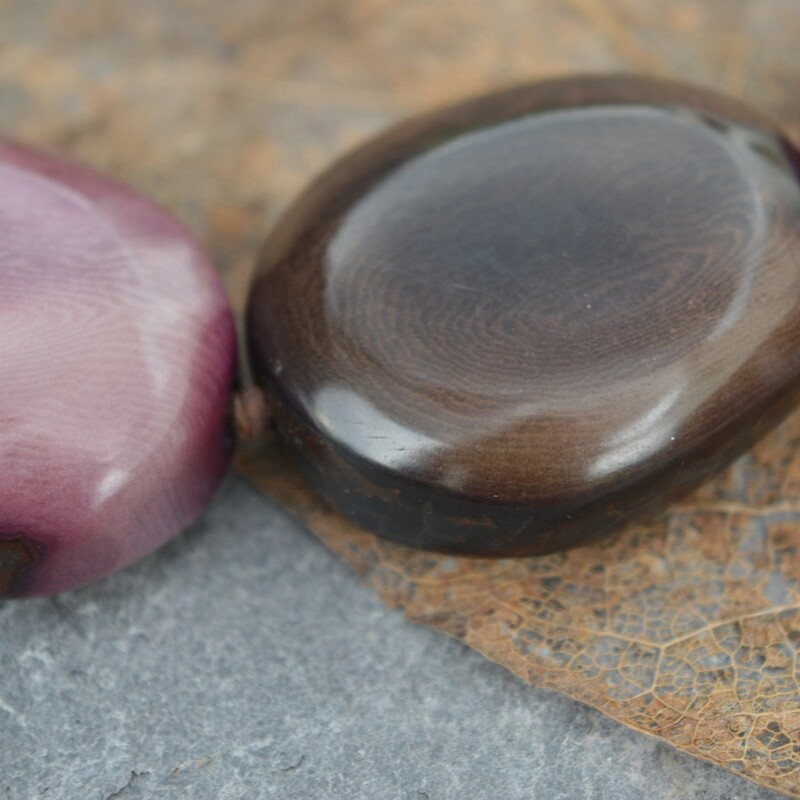 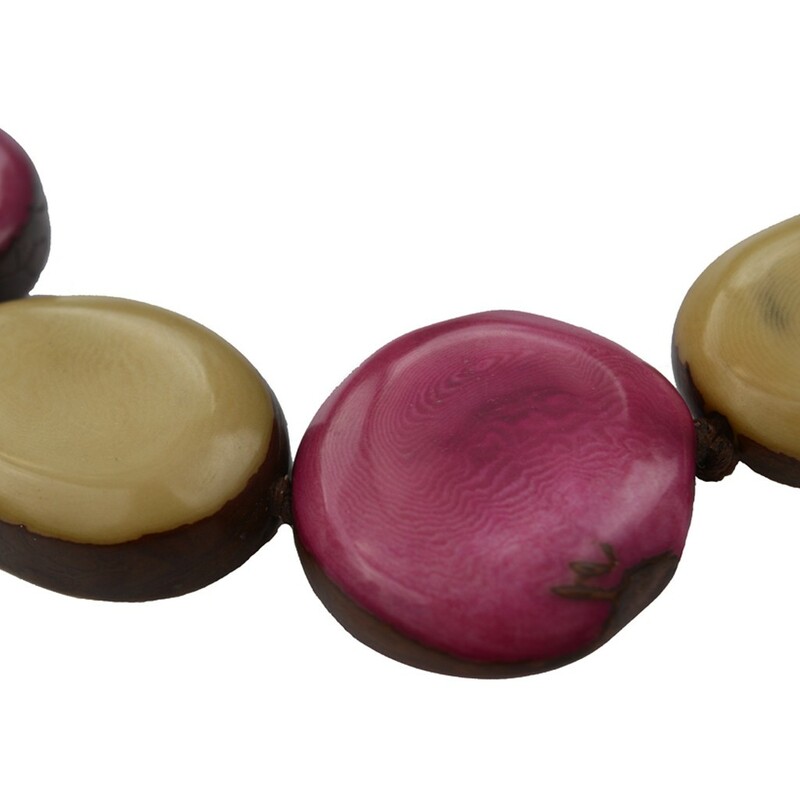 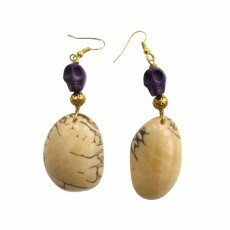 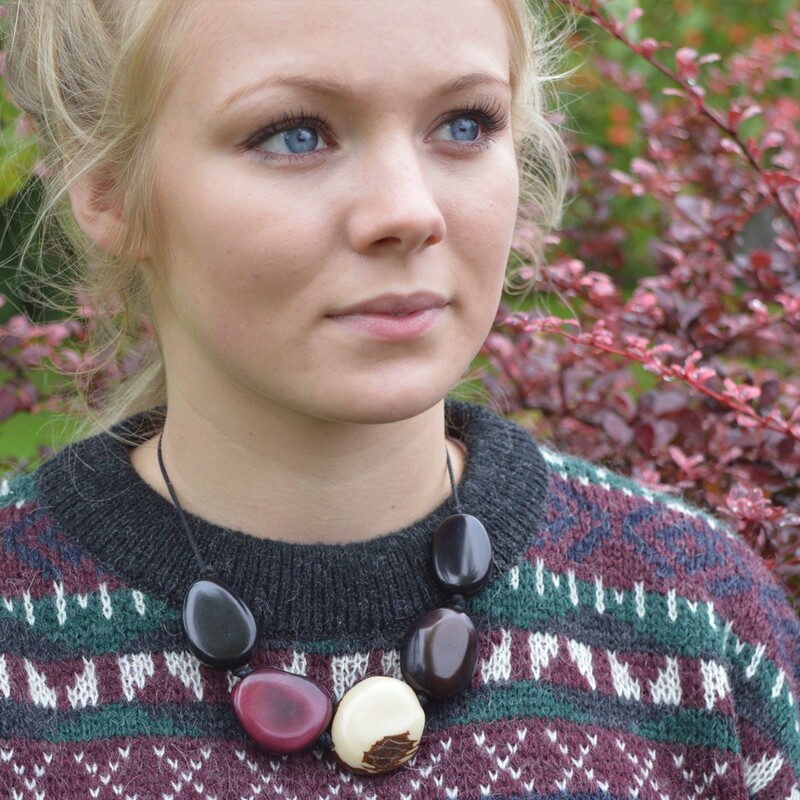 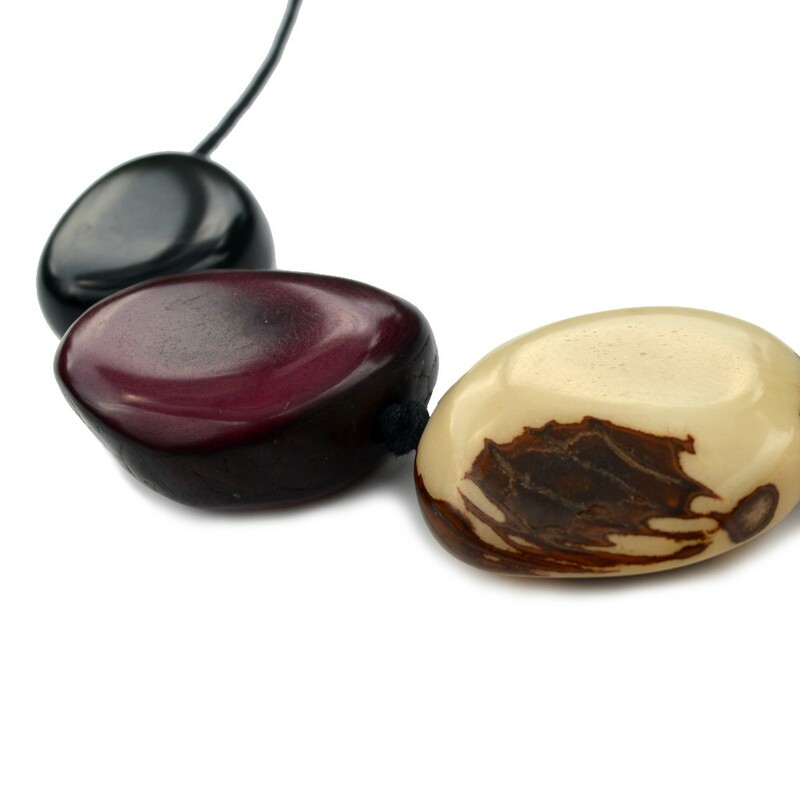 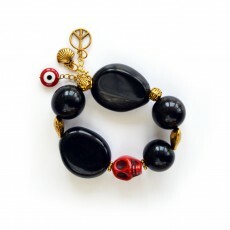 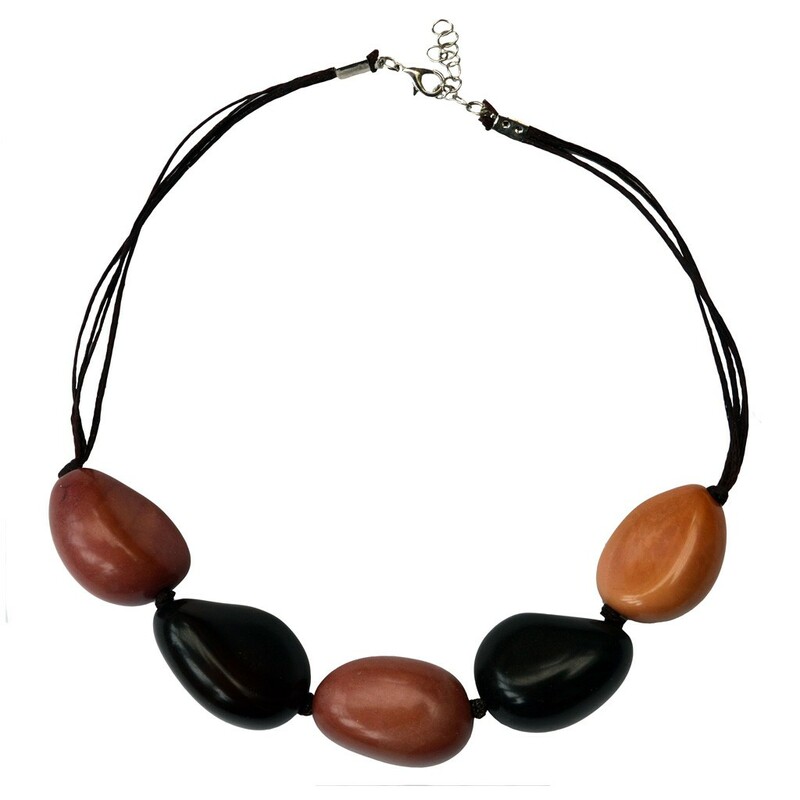 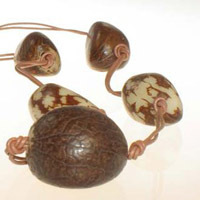 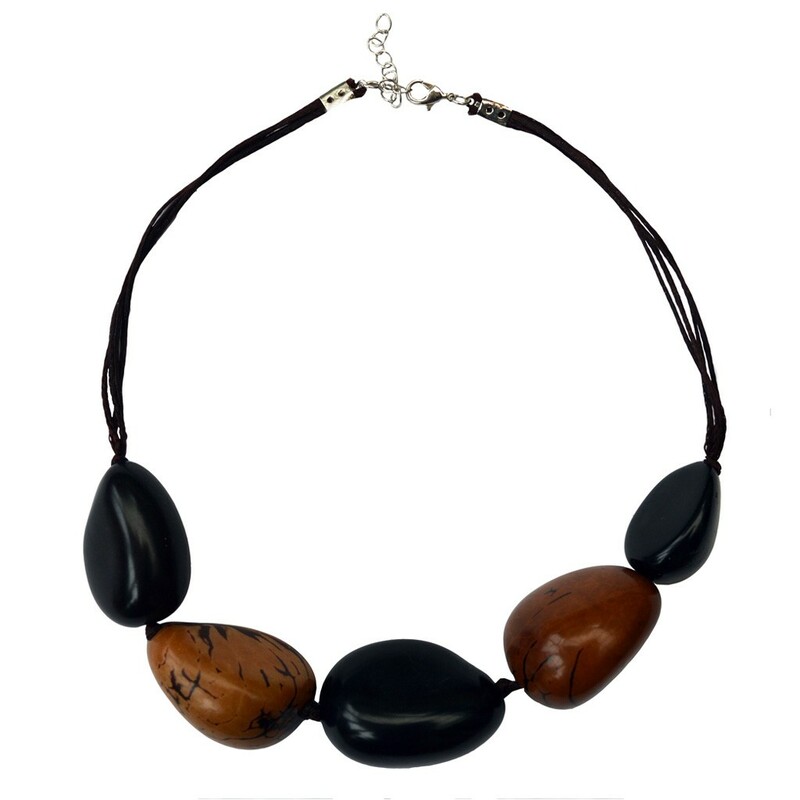 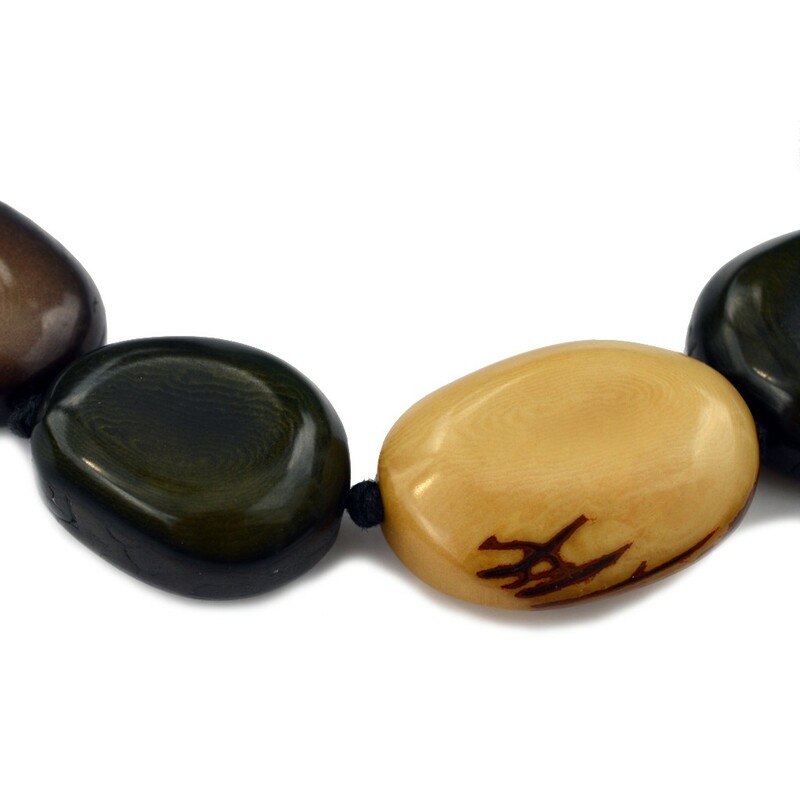 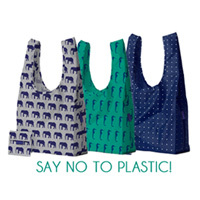 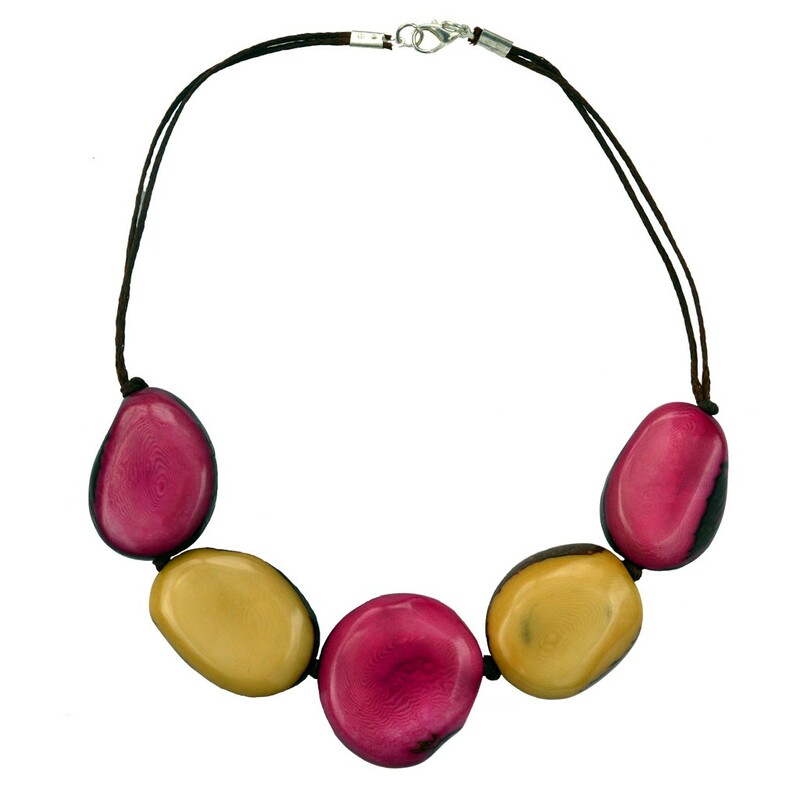 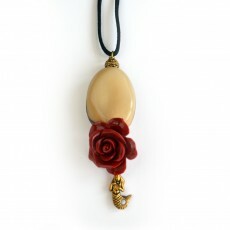 The Tagua nut-better known as vegetable ivory- is the fruit of a nut palm which grows naturally in Ecuador. 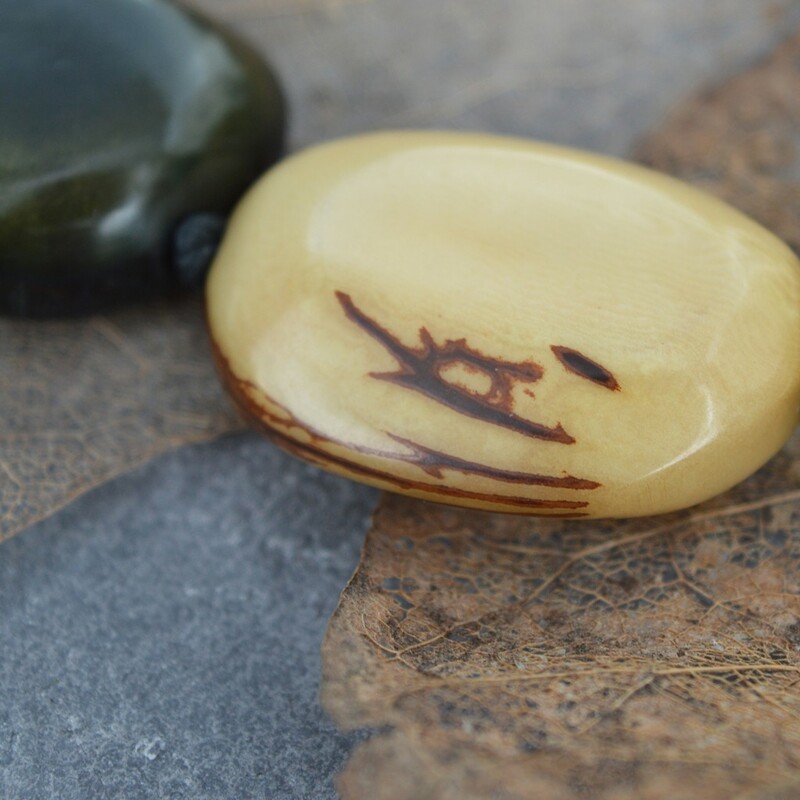 It is an extremely hard nut that can be carved, shaped and polished like ivory, making it a totally organic, eco-friendly and sustainable material. 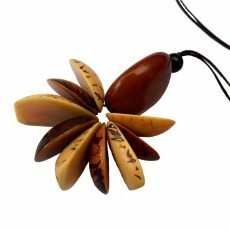 As this is a natural product no two items are ever the same. 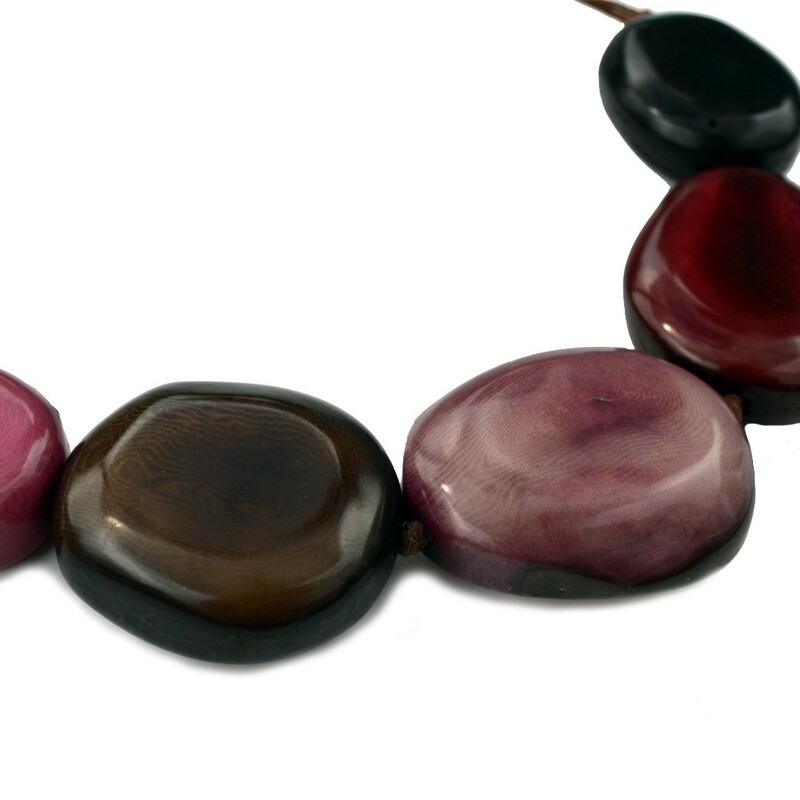 Shape, size and colour may vary, but each necklace is unique and equally beautiful.